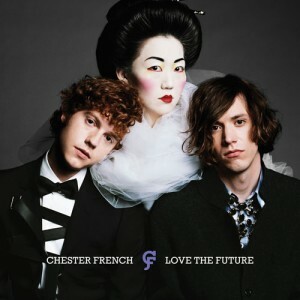 My new favorite album is none other than Chester French, Love the Future. 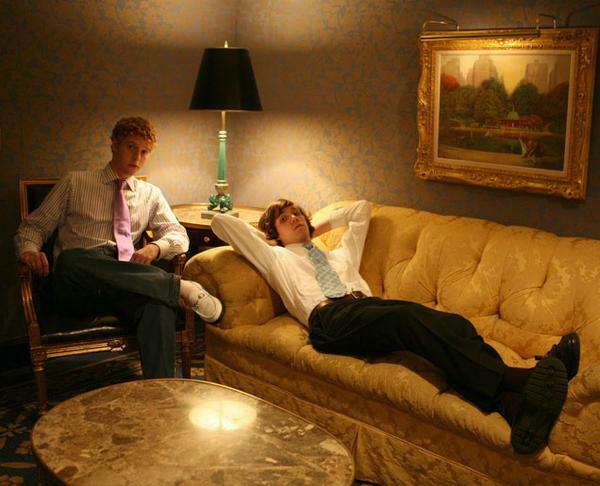 Formed in Boston and named for Daniel Chester French, who designed the Lincoln Memorial, this stand out new group could be filed under pop, rock, alternative, hip hop, you name it. Jacks of all trades (or genres), Chester French has collaborated with Asher Roth, and toured with Lady Gaga, Blink 182, and N.E.R.D. They’ve also appeared in Vogue, as “Already Famous”, a “band you should already know”. Fans of Weezer, Phoenix, Hot Hot Heat, Plain White T’s, and the Kooks will be spinning this record for a long time to come. My favorite tracks are C’mon (On My Own), Bebe Buell, The Jimmy Choos, Neal, and Not Over You.